In some ways this is a simple story. Johnny and Rose fall in love, and remain committed to each other in spite of all that life throws at them. And that's a lot: the horrors of the First World War, the sectarian violence that tears Ireland apart afterwards, the hardship and pains of life in a difficult time and place. Their love brings them through all these things - not without scars, not without hurt, but always with hope. But what really brought this story alive for me, what gave it depth, was the vivid depictions of Ireland as it was a century ago. The language and customs and way of life are brilliantly evoked. And that makes this more than just a simple love story of two people. It’s the story of a another time, another place, of the events that affected millions of people, seen from the perspective of these two participants. And yes, it is about their love, but also about their shared faith, and how these things brought them through the hardest of times. Well paced, with a smooth flow of words throughout, this is a powerful, moving, sometimes painful but ultimately hopeful story. The concerns of man with the respect towards others are based on many factors, none of which binds us together as living beings closer than the belief in a God. We gather in groups: countries, religious, military or political that do not give us true fulfilment, but are the corner stone of our existence from the time of birth. In John Henry McClintock’s War, Ms. McCullough uses the life of an Irishman, brought up in the turmoil of World War I and the internal strife of his beloved country, bringing to light the sometimes ignorance that us humans live by. Wars have been fought by man since the Stone Age, but it is the internal war within us that Ms. McCullough shares in the life adventure of her main character. It is that war that John Henry must come to terms with. He sees death all around him because of illogical reasons. He muddles through because of his love for Rose and the God they believe in, not the religious groups that separate them. John Henry’s journey is a difficult one, knowing the historical facts which we get a touch of in this fast pace novel. Ms. McCullough prose is somewhat poetic at times, but her writing gets to the root of evil vs good in the human mind. This is where her John Henry excels: he sees the good and over comes the evil. I recommend this short adventure into the turmoil of war. Many of us have been there and are still trying to overcome what John Henry overcame. We have to be reminded of it from time to time, as Gerry McCullough has done so elegantly. This is a touching, poignant tale which spans not only the WW1 period but also the later Irish War of Independence. However, don’t be misled this is not a war story. What would be a classic Irish tragic love story of Catholic girl and Protestant boy, develops into a captivating story of love, commitment to each other and their faith whilst overcoming not only prejudice but also physical and psychological attacks. Their relationship survives Johnny’s six years at war overseas where he strives to better himself and stay alive while many of his friends die around him. As Johnny struggles to find work after his demob so that they can marry, society and the fall out locally from the Irish War attacks them again from other angles. Their unrelenting commitment, loyalty and passion developed from the naive start of their married life through experiences of childbirth and the eventual loss of a child. Johnny transitions from a boy into a man, resisting being destroyed, although hardened, by the experiences of war and life that he endures. A well-crafted novel from a talented author, highly recommended. Johnny McClintock’s War is, simply put, one of the most compelling novels I have read in some time. It’s the kind of storytelling that pulls you in as a reader and keeps you there until the final word is written and you are hooked. 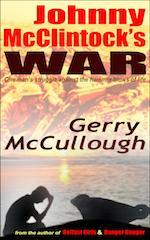 I have read several of Gerry McCullough’s novels and love each one of them. Yet this one haunts me in a way that will keep Johnny McClintock and his Rose ever in my mind and heart. Oh, what a story this is! From the first words, the story unfolds, seamless from exposition, scenery to character description within a moving story. The love of Rose And Johnny. A wee grand couple. Their world steeped in vagaries of prominent importance to their family and villages can’t break them apart. This story sings with Irish lyrical prose. Gerry’s turn of phrase stunningly beautiful. I won’t disclose these smatterings of grace smoothed between the pages. WWI strikes its blow. Johnny finds himself in the throes of its filth, cruelty of hell on earth unimagined as his heart longs for his girl. Gerry plops the reader into the horrid mix. Historical moments weaving into this story reminds us not only of the sprit of Johnny and Rose but humankind. Most anyway. Gerry seemed to be sitting in my kitchen unfolding her story. Her structure and words made you feel she trusted you with her tale. The war ends. Johnny’s coming home to find his Rose and all he had known. Slammed with the reality another war raged in his country divided and his Rose having to battle her own. Rose proved she could mix it up with them all but did she and Johnny have enough to fight for their love. A love shredded first by a horrific war, now facing uncertainty, singleminded beings, inhumane acts, show the reader home is our hearts and willingness to do what it takes. And the strength to keep going. This story shows Life at its sweetest and most guttural, yet even with vulnerabilities it’s resilient. Gerry captures all the elements of storytelling while twisting this story for the ages spanning hope, love, despair, death, ugly doings of humankind, intangible spirit. When we are at our darkest, we can find a light. I didn’t give many details of the book. I believe each of us need to read it from our perspective. The readers don't need teasers. They do need to read this book. I’m blown away by Johnny McClintock’s War. It won’t be the last book I’ll read from Gerry. I didn’t accept an ARC for review although I’m a reviewer. Gerry has raised the literary bar for me as I write my novel. I’m grateful to her. FIVE *Star snap Gerry! Slainte! This novel has so much going for it. The author does a tremendous job of allowing the reader to experience the emotions that come with with all aspects of war--the beginning, the middle, the end, and how deep this kind of separation touches the lives of everyone. I was also drawn in to the bond made between men as they fight together for their country, turning simple friends into a lasting brotherhood. The experiences John Henry faces are real and believable. Adding to the plot is another kind of mounting tension that stems from the diversity of religion. At a time when religion means everything and marrying outside of it is frowned upon, what lengths will people go to in order to keep John and Rose apart in order to protect what they believe is right? You’ll have to read the book to find out! This is a well researched novel telling of one man’s struggles and how his faith is tested. Gerry has created some great characters, including the wonderful Rosie, Johnny McLintock’s love of his life. 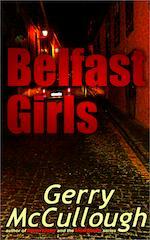 You don’t just read Gerry’s story, you feel it, you live it, the people, places, and actions are so well crafted. Once in a while a character steps off the pages of a book, and lodges in your heart. John Henry McClintock is that very special young man. I honestly struggled with this review as Johnny McClintock’s War touched me so deeply I wanted to do it justice but words failed me. When young Johnny goes off to fight in World War I, I wanted to beg him to stay home and marry his sweet little Irish Catholic girl. But Johnny has ideals and wants to make his mark on the world. He leaves the shelter of his friends and family and marches off to almost certain slaughter. Rose Flanagan, the perfect Irish rose, is left to deal with a war on the home front. It was a pointless war that tore Ireland asunder for ages. Johnny lives through a battlefield scene on Christmas Day that will haunt me whenever I think of the word "war." Exquisite writing. As other reviewers have mentioned, Johnny’s faith is hardened and our hearts go out to him. This book is a testament to the talents of the very gifted Gerry McCullough. This is pure Irish story telling and yet so very real. I highly recommend this book. It is literature at its finest. This review is from: Johnny McClintock’s War: One man’s struggle against the hammer blows of life (Kindle Edition) John Henry McClintock, a young, idealistic, Northern Irish Protestant holds his belief in God dear to his heart, it is pivotal to who he is, pivotal in his interactions with the others that share his belief. When he meets Rose Flanagan, a Catholic girl, he has to redefine his belief system. Surely a love as strong as the one between himself and the lovely Rose can overcome the ingrained prejudices of his volatile countrymen. Confident that this love could withstand any test, Johnny McClintock enlists in the armed forces and is sent out to face the horrors of World War One. Horrors that will make any of us cry in our despair that this war was not and sadly will never be the war to end all wars. 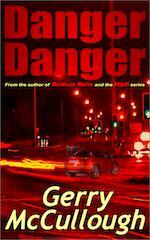 Author Gerry McCullough has a deep insight into what drives her characters. Because of this each of her characterizations are very real to the reader, inviting us to step inside their lives, we laugh with them, and we cry for them, we invest ourselves emotionally and want so badly for their love for one another to hold fast against seemingly insurmountable odds. Rose is forced to deal with the ugly side of life, before she’d ever had a real chance to experience the wonders that it can and does hold. Johnny McClintock has his faith tested, again and again on the battlefield and in the foxholes. The sights, sounds and smells of frail humans forced into inhuman circumstances, make his days red with blood and his nightmares imbed themselves into his soul. Death is his constant companion, and he fights to understand how a loving God could allow this inhumanity to exist. He fights to hold on to his beliefs just as strongly as he fought on this other field of battle. Both took their toll on his soul. He returns home, no longer young. Circumstances have decreed that he will never again be the young man that left his beautiful Northern Ireland five years before. The author understands his pain and allows us to share in it. This insight makes his love for Rose especially poignant, and it needs to be a strong love to endure the prejudices and attacks of people who look at them from both sides and relegate them to traitor status. Johnny and his Rose marry and are tested over and over again. I will not spoil the ending of this beautifully written book. Suffice it to say that their ultimate challenge looms large. Will their love and faith in God survive? You must read the book. The author has taken the reader on a journey of discovery, a journey that is fast paced, touching and sadly all to real. I can’t say more, apart from the fact that I recommend this work highly to anyone who looks for depth, plausibility, and human frailties in what they choose to read. I will be reading this again and am certain I will discover still more layers of real life within its pages. 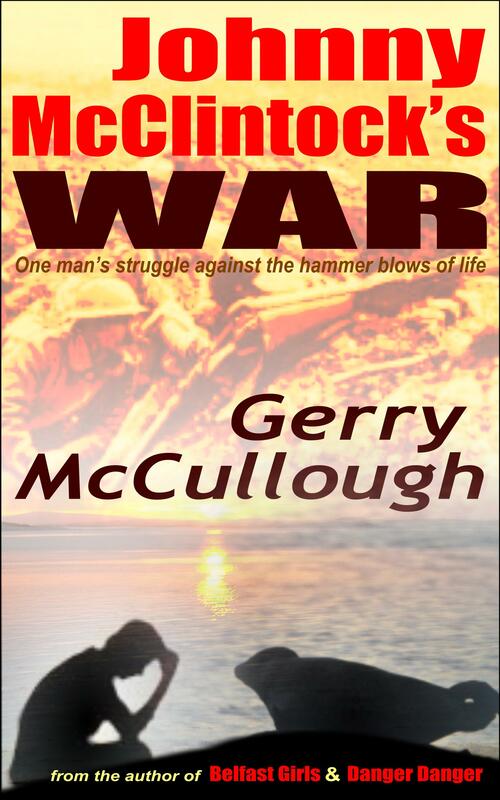 I congratulate author Gerry McCullough on this work...I have read most of her other books and enjoyed them immensely; but this ... this one stands proudly alone, a book that should be required reading for all those that sit distant and safe from the wars they help create. The author manages to so vividly paint the picture of war-time and post-war Ireland that you begin to imagine yourself there. A well-written and very different book. This is not about romance or heroism as we walk through McClintock’s life with him. John Henry McClintock, a young, idealistic, Northern Irish Protestant holds his belief in God dear to his heart, it is pivotal to who he is, pivotal in his interactions with the others that share his belief. 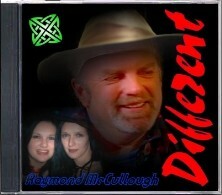 When he meets Rose Flanagan a Catholic girl, he has to redefine his belief system. Surely a love as strong as the one between himself and the lovely Rose can overcome the ingrained prejudices of his volatile countrymen. Johnny McClintock has his faith tested, again and again on the battlefield and in the foxholes. The sights sounds and smells of frail humans forced into inhuman circumstances, make his days red with blood and his nightmares imbed themselves into his soul. 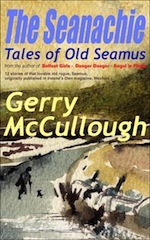 I congratulate author Gerry McCullough on this work... I have read most of her other books and enjoyed them immensely; but this ... this one stands proudly alone, a book that should be required reading for all those that sit distant and safe from the wars they help create. Never have I read a book which has touched my heart and soul so much. 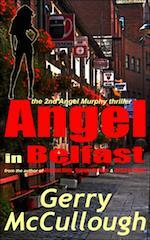 It was the first book of Gerry McCullough I have read and I didn’t know what to expect. A young protestant Irish man meets a catholic Irish girl right before WWI. It is a story where ‘he knew from their conversations that what she believed was the same as what he believed, and that was what mattered’. Different religions no obstacle for love. Reading along, I felt there was much more depth behind this love story, much more intent than obvious. It is the human soul ever searching for doing something worth while, ‘not just working until they die’. The human heart and soul searching for the reason behind it all. Wars, from the Ist WW until into our days, devastating, ruining our lives and there, young men reaching out to each other in trenches filled with foul water and poison gas. Bigotry, religion, class differences, moral rules: all doing their best to drive us apart. Young people trying to escape from the daily round that is ‘trivialising’ their lives. Men fighting and killing each other ’he wondered again why two sets of people with so much in common needed to sort out their differences by killing each other’. Johnny McClintock has seen it all. And so has Rose, from her different angle as a woman in Ireland of those days. I have read the excerpt and other reviews before I’ve started reading this book. How much has this book overcome my expectations! This is Irish story telling at its best! The human soul, the heart of each of us human beings, searching for a glimpse of a response of which ever gods we are believing in. And still, holding on to them. The answer lies in ourselves, in our hearts. Look around, Gerry says, a lark singing in spring, fields full of smell and colour. The last roses of autumn’s smell. Never mind the cow dung you are stepping in. War, bigotry, hatred but also the human heart holding on to love, standing up for it. Oh, I could go on and on. What a prose. What a story with depth. This is heartfelt. This is power of words. Gerry is telling a story here to draw you in and make you think about your own life and life as such. Love. Peace. Wars. God. The meaning of it all. If there were more stars than five allowed, I wholeheartedly would give them. I am an avid reader, as they say. I have read a lot. This book has been my first of this author, it definitely will not be my last. I will read them all. ‘Souls find souls’. If you read her book, you will know what it means. Kudos to such great writing. This novel has so much going for it. The author does a tremendous job of allowing the reader to experience the emotions that come with all aspects of war—the beginning, the middle, the end, and how deep this kind of separation touches the lives of everyone. I was also drawn in to the bond made between men as they fight together for their country, turning simple friends into a lasting brotherhood. The experiences John Henry faces are real and believable. Adding to the plot is another kind of mounting tension that stems from the diversity of religion. At a time when religion means everything and marrying outside of it is frowned upon, what lengths will people go to in order to keep John and Rose apart in order to protect what they believe is right? You’ll have to read the book to find out! Protestant John Henry McClintock meets Catholic Rose Flanagan at a mission shortly before the outbreak of the First World War. They quickly become very important to each other, despite their family’s initial opposition to them belonging to opposite sides of the religious divide. What follows is a powerfully evocative tale. 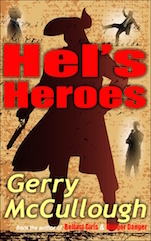 Gerry McCullough brings the bloody horror of Flanders fields to life with her vivid prose. We see McClintock’s feeling of anger and helplessness as his friends are killed and he begins to question God. I don’t follow any religion, but somehow I related to the fact that faith kept both Rose & Johnny alive. I have read and loved all Gerry McCullough’s books to date, but I think this one has to be her best yet. She writes about faith as well as the religious and political issues in Ireland with real feeling, managing to put the cases for both sides without prejudice owing to her incredible skill as a storyteller. I knew nothing about the early Troubles so this book was a real education for me. In a year when the world commemorates the centenary of the outbreak of war, this is a powerful tribute to those who died for their countries and what they believed. I can’t recommend this highly enough, in fact Amazon only allow five stars but this is worth a whole galaxy. When a book stops you from sleeping till way past 2 a.m., when it keeps you in bed the next morning until 9 a.m. when you are used to getting up at 6 a.m., and when you keep picking it up during the day when you are busy with the chores you can’t dodge, you know you have discovered a book that will hold you spellbound until the very last sentence. I admit to having been a fan of best-seller Irish novelist Gerry McCullough for many years now, so I would never have hesitated to read anything new she wrote. 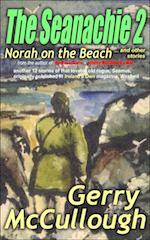 But nothing Gerry has written in the past is anything like this new dynamic historical novel. Surprisingly transported to another world I knew little about before I read this beautiful story, I found myself in a world that Gerry brings so vividly to life that I breathed every heart-beat with the characters. With her first-hand knowledge of the history of The Troubles, her innate literary imagination and knowledge of the human psyche, and her amazing ability to visually engage the reader in the personal thoughts of her characters, she paints a picture not only of Johnny McClintlock’s horrific First World War experiences, and then at the end of the war the similar senseless antagonistic clashes between the Catholics and the Protestants in Ireland, but of the totally unwarranted and inexcusable outrageous treatment of Rosie, the woman he has always loved. It is an important observation that Gerry makes: that regardless of artificial boundaries created by the two different churches to which Johnny and Rosie have been born into, their love and their faith transcend these so-called differences. Would that this could happen in other parts of the world where religion is tearing people apart. Gerry McCullough illustrates in this will-they/won’t they story, that it is indeed possible. Once again Gerry McCullough displays her insightful vision into the human condition while telling the story of Johnny McClintock’s monumental struggle. Not only must Johnny go off to fight a war his heart is not into, but when he returns home to Ireland, and the woman he loves, he finds himself smack in the middle of yet another battle. A heartrending emotional battle against the age-old enemy we all know as "prejudice." Without giving away too much of the story let me just say this, if you’re looking for a tale that will give you a true-to-life sense of place, characters you will truly care about, and a gut-wrenching emotional ride "Johnny McClintock’s War" is a must read. This is the first book I’ve read from this author. I look forward to reading more from Gerry McCullough in the future. This book is well written, easy to read, very entertaining, realistic, and with likable characters. The story is fast paced, flowing, and swiftly moving. The author paints a clear picture of the difficulties that lie ahead for John Henry McClintock and Rose Flanagan. Life will not be a bed of roses for either of these two. The winds of war are blowing. The Kaiser responds (eloquently) to the British ultimatum: (quote) "With genuine sorrow do I witness the end of a friendship, which Germany loyally cherished. We draw the sword with a clean conscience and clean hands." (end of quote) As John Henry goes off to war, we already know it will change him and Rose forever. In the absence of the other, their trials and tribulations are separate and same, each meeting with tremendous obstacles to overcome. Tragedy and triumph await them both in equal measure. Despite its realism, this story is fiction. The creativity and imagination of the author is evident. It has a historical setting, in time and place. It crosses genre boundaries, being not a romance, not fiction, not historical. It is all of these and none of these. It is greater than the sum of its individual parts. Yes, in the end, we have been on an emotional roller coaster ride, had an epiphany, and maybe, taken on a new world view. This excellent book is highly recommended for anyone who loves a book that will make you think about how wonderful life truly is. Follow Johnny’s journey through his young age, from the 1st world war where he lost a lot of friends to coming home to Rose and the troubles in Ireland. He gets married to his true love, have kids and begin to put their life together. This book had me captured from the start and it moves at a fair pace throughout. If like me you’ve read the Clinton Chronicles by Jeffrey Archer you will love this. 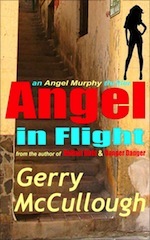 Gerry has the knack of writing the story so beautifully and I am positive you will enjoy this novel. 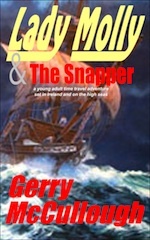 I have enjoyed Gerry’s other books and this one was no exception. I was drawn into Johnny’s story from the first pages. It is a wonderful story of a man’s journey in trying to hang on to his faith against all odds - everything from fighting in WWI, coming home to his homeland divided by war and facing the dangers of that conflict, and the ups and downs of his love for Rose and the things they face as they join their lives together. 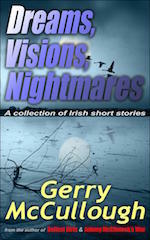 I do recommend this book and am definitely looking forward to Gerry’s next one.